No matter how hard we work on a conservation project, and no matter how strong a case we may make, we may still lose in the end. Is the work and the heartbreak worth it? This is the final post in my 3-part series about getting involved in local or regional bird conservation issues. In the current case, the Boundary Waters Canoe Area is a true wilderness, with genuinely dark sky. Lights on the proposed tower (required by the FAA on all structures higher than 199 feet to prevent aircraft collisions) would be the first artificial lights ever seen by many songbirds on their first migration from Canada and northernmost Minnesota, including the vast majority of species most vulnerable to tower kills. In my statement and testimony, I said that it’s impossible to predict how many birds could be killed at the tower each year, but that a single TV tower in Eau Claire, Wisconsin, not along any particular migration path, killed about 20,000 birds on a single foggy night in 1957, and about 35,000 birds on a foggy weekend in 1963, and pointed out that the very foggy conditions prevalent during spring and fall in the Boundary Waters area are associated with the worst tower kills. As the number of Neotropic migrants has declined and the number of towers on the continent has increased, we haven’t documented kills of that magnitude at single towers in recent decades, but some single towers are still known to kill hundreds or thousands of birds annually. The proposed tower’s unique wilderness location makes it especially likely to have higher-than-average bird mortality due to the high number of foggy nights during migration, wilderness dark skies which would make any tower lights stand out, and the high number of bird species nesting there that are exceptionally vulnerable to tower kills. I could not predict how many birds could be killed at such a tower annually, but did testify that it was likely that in the worst years hundreds or thousands of birds could be killed. I testified that many of the most vulnerable songbirds navigate using stars and seem to get disoriented under foggy conditions. In my experience as a licensed bird rehabber, I discovered that if I turned on a light in a darkened room on a spring or fall night when warblers were present, they instantly flew directly toward the light. My guess is that when they first take off on a migratory journey after dark, they fly directly toward a star or the moon—heading straight toward the light gives them a clear path out of the tree so they won’t collide with twigs and branches. I suspect that the same impulse leads them to fly toward a light when they’re disoriented in dense fog, not realizing that bright light is a bit closer than the stars or the moon. The species that breed in and migrate through northern Minnesota include some of the species most vulnerable to tower mortality. The U.S. Fish and Wildlife Service and American Bird Conservancy collected every shred of towerkill data they could, and issued a comprehensive report. They found that 230 species have been killed at towers, and ranked them. 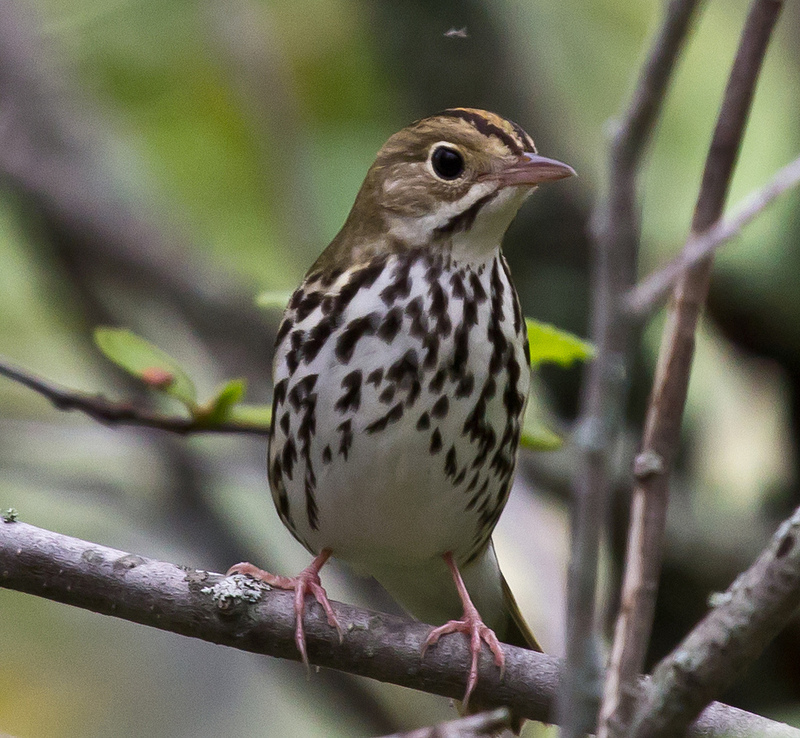 Every one of the six species killed in the greatest numbers continent-wide (Ovenbird, Red-eyed Vireo, Tennessee Warbler, Common Yellowthroat, Bay-breasted Warbler, American Redstart) breeds in the Boundary Waters and migrates in significant numbers through the area where the Proposed Tower would be sited. Of the 35 species killed in the greatest numbers (>1000 collected), 32 species (91 percent) breed in and/or are regular migrants through the vicinity of the proposed tower. tower would kill no more than 48 birds per year, and pooh-poohed my information about birds navigating using the stars. For example, he said it would be impossible for Ovenbirds to learn the star patterns before migration because they spend their nestling days and nights in a covered, oven-like nest, and said that magnetism is how birds orient. His testimony was for the defense, and the plaintiffs weren’t allowed to refute his testimony by calling their own witnesses again, so I couldn’t point out that Ovenbirds fledge weeks before migrating, nor bring up plenty of data aboutsongbirds using both magnetism and star patterns to navigate. about the large swath of the wilderness area that would be impacted by the tower on the scenic view. The organization also produced expert witnesses who established that their suggested alternative, two unlighted 199-foot towers, wouldn’t be much more expensive and would provide wider cell phone coverage. AT&T’s experts testified that they had done an economic analysis of the alternative and decided against it because the return on their investment would take 63 months, missing their corporate profit benchmark by 3 months. Minnesota’s Environmental Policy Act states that a higher cost for complying with the Act doesn’t provide a valid case for violating its terms, an important point that the judge emphasized in his findings when he ruled for the plaintiffs. testimony not questioned by AT&T that greater coverage would have been achieved by two smaller, unlighted towers at only slightly larger cost. The Friends appealed that decision, but the Minnesota Supreme Court declined to hear the case. Because the determination involves state rather than federal laws, no further appeals were allowed, and tower construction is now complete. Imagine all the work Bill Evans has done gathering and synthesizing the information in www.towerkill.com, every bit an unpaid labor of love. I was paid for some of my time in this case, but virtually all my conservation work is unpaid, too. The US Fish and Wildlife Service led a committee that put together guidelines for tower construction to reduce bird kills. Unfortunately, those guidelines aren’t binding, and Paul Kerlinger, who served on the committee, now sabotages its work by testifying that the guidelines don’t apply in the situations for which he serves as a paid witness. research organizations to provide the underpinnings for species management projects. We promote public education of important issues and encourage people to find ways of helping birds in our daily lives. Some of us show up and testify in court and at city, county, and state hearings, or at least submit written statements regarding important issues open to public comment. donate, vulnerable species keep declining, cat colonies continue to get public and municipal support, condors continue to die of lead poisoning from scavenging on carcasses shot with lead ammunition, buildings continue to be constructed of glass, wind farms keep sprouting up along critical migratory paths, and millions of birds continue to be killed each year at communications towers while, over and over, powerful interests continue to prevail over the well being of birds. Yet, little by little, some people do get the message. We only have those tower construction guidelines at all because people like Bill Evans got the word out about tower kills. And the more people hear about these kills before a tower is proposed, the more likely people on zoning boards are likely to take bird mortality into account in making decisions to grant or reject permits. Few of us volunteers can effectively and tenaciously work on even one issue day after day, year after year, without burning out, even as corporations keep an arsenal of lawyers and paid consultants at the ready. Supporting the American Bird Conservancy (the only national conservation organization with a policy regarding communications tower collisions, is important, as is supporting one another when we get involved in these issues. ABA’s role in conservation is extremely important, if more subtle than the American Bird Conservancy’s. By supporting the fun and sport of birding and birdwatching, and encouraging more and more people of all ages to join us, we’re building up the number of people in America who have heard of Ovenbirds and Red-eyed Vireos. Few judges or zoning board officials care about obscure species they’ve never heard of. And the importance of ABA’s role in bringing public awareness of birds in fun contexts can’t be overemphasized. Most people tune out dire messages sooner or later, but ABA keeps the fun elements of birding front and center in our mission, which is ultimately just as critical as nitty gritty conservation work at raising public awareness of birds. Ultimately, we save only what we love, and we love only what we know. No matter how each of us chooses to get involved in protecting birds, the most important thing for us all to remember is that we’re all on the same team, and ALL our contributions, whether we’re leading local bird walks or telling friends about the fun birds we saw on a tour in the tropics, whether we’re reporting our lists to eBird or conducting Breeding BIrd Surveys, whether we’re actively working on local or regional issues or simply reading about them, make us part of a small but growing circle of people who know and care about birds and their future.